Our pick of the best open-ended toys to gift this Christmas - 30+ toys your children will love but didn't ask for. It's that time of year when our children are busy filling Christmas wish lists with their favourite things in the hope Santa or some thoughtful relative might bring them. Quite often it's the latest and greatest toy that makes their list. This year IT toy is a Hatchanimal, a couple of Christmases ago it was a Furby. When I was ten, it was a Cabbage Patch Doll. Every Christmas there's always that one toy. And it's oh so easy to get wrapped up in the sales pitch surrounding these items believing that this toy will make your child's day come Christmas morning. And sometimes, you get the fairy tale ending and this toy becomes one of your children's most beloved possessions. Sometimes it doesn't turn out that way and the toy you just bought for way more than it's regular retail price finds a home at the bottom of your child's toybox collecting dust. It's not that your child doesn't love this toy. 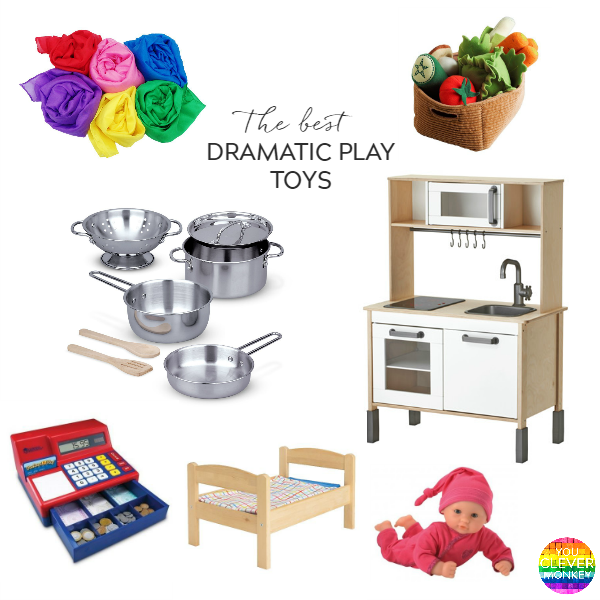 They probably do but some toys are just better than others in engaging your child in play. Being a teacher and parent of three young children one of whom in the spirit of full disclosure, is a owner of a neglected Furby, I'm often asked for my recommendations. 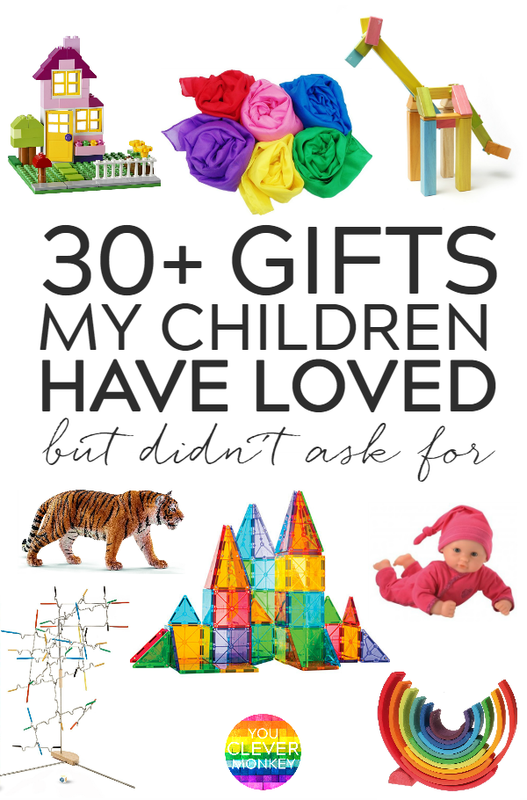 Here's my list of toys my children have loved but never asked for. 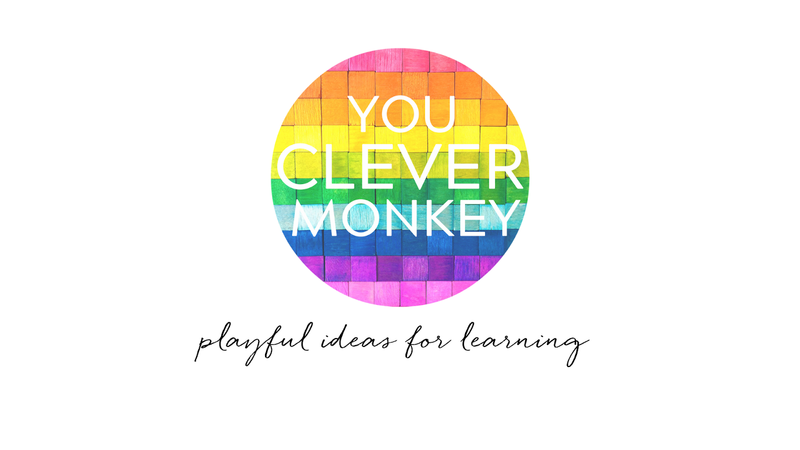 When I take a look back over the past ten years at which toys have received the most play and love both at our house and in the classroom, the standout winners are toys that allow and encourage open ended play. 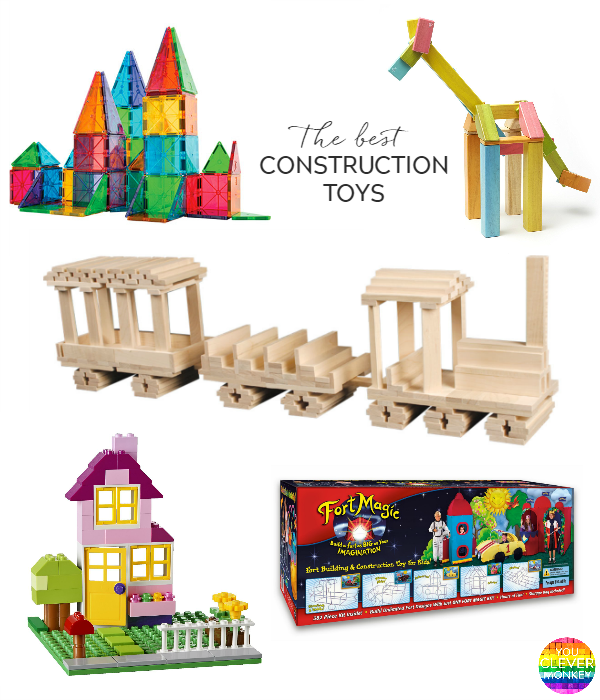 Open ended toys are those that can be used multiple ways depending only on the imagination and creativity of the child. 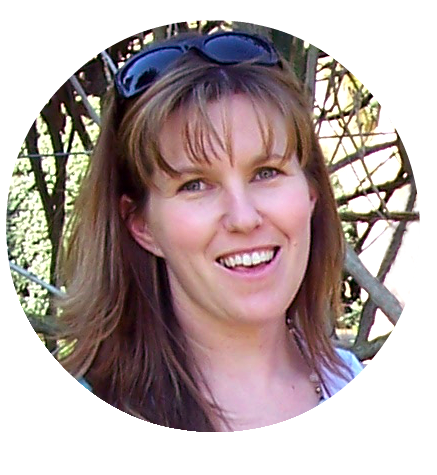 Open ended toys = open ended play which can evolve and change encouraging young children to problem solve and create as they play and learn about the world around them. 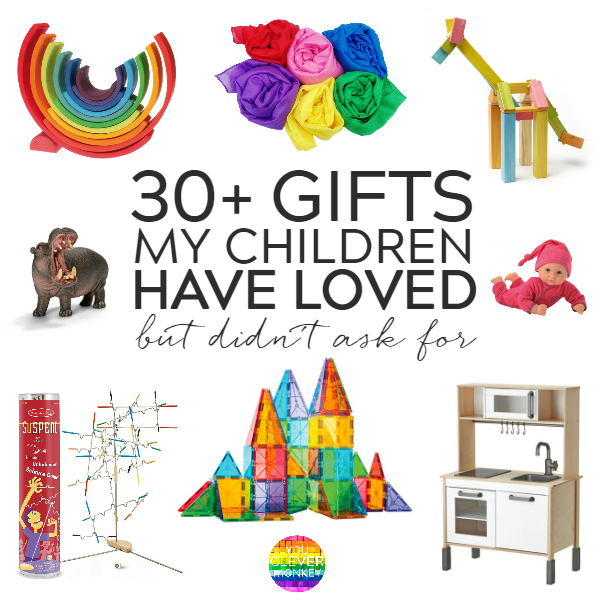 Here are some of our favourite gifts my children have received but didn't ask for. Magna-Tiles - best construction ever for small hands. Keva wooden plank blocks - simple is sometimes best. LEGO - classic blocks sets first then you can just keep adding to your collection. Tegu Magnetic Blocks - they look like ordinary wooden blocks but just like Magna-Tiles you can build up and up and up. Bunchems - such great fun to make with and perfect for strengthening small hand muscles during play. They make great puppets too. Q-BA-MAZE 2.0 - is our most favourite marble maze run after our own DIY marble run. Fort Magic Building Kit - for when your children want to build something big enough to play in themselves. Perfect inside or outside. 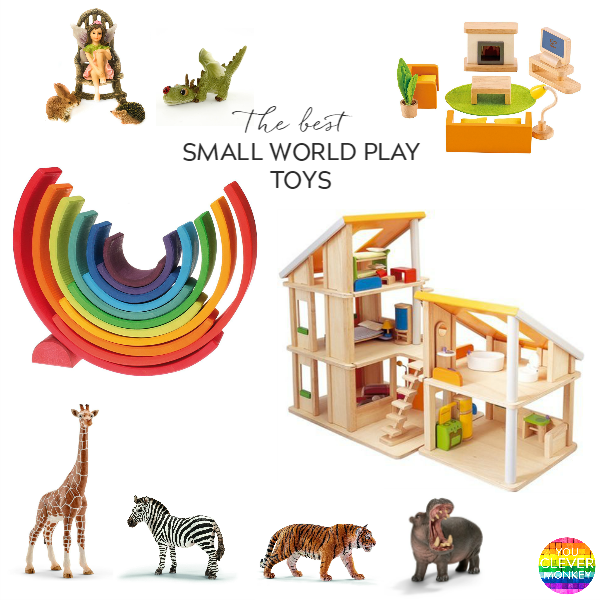 Grimm's large stacking rainbow - this toy could have made the construction toy list but there are so many ways to play with this rainbow you really have to grab one and see for yourself. My youngest child loves to turn hers into a dollshouse! Schleich animals - more expensive than some but beautifully made and ours have lasted so well despite the hours and house of play. Dolls house - ours is natural wood and is made up of three units which can be configured different ways during play or even split to make two neighbouring houses. Can't afford a wooden one? Try our simple DIY dolls house instead. Dolls house furniture - to go in the dolls house or rainbow house. Fairy garden supplies - we've slowly been adding to our fairy garden props from our favourite fairy shop - Garden Sparkle. These magical small world accessories really do invite play. Cars - I had them to play with as a child and of course bought some for my own children to add to the well loved Matchbox cars I still had from my childhood. Play kitchen - IKEA makes the best value compact play kitchen around. We have their table and chair set too. Pretend food - perfect to add to the kitchen or set up shop or share with your friends. Pots and pans - if you don't want your children using yours, you can get their own set. IKEA have a good set too or visit your local second hand shop to get some for the sandpit too. Dinner/tea set - what good is a kitchen without plates and cutlery to use. Simple sets are the best otherwise you end up spending most of your time picking it up off the floor. Dress ups - old clothes that are easy to put on (pull on works best - no buttons or zips preferably) along with bags, hats and wallets. Second hand shops are a great place to find dressups. Cash register - a must for any pretend shop play. Doctors set - this basic set with some bandages, sling, notepad and pen added saw countless hours of pretend play. Play scarves - great for dressups, walls for the fort magic kit or for pretend play props. Baby doll - a must have toy for any toddler to love. Add a tiny bed from IKEA and a stroller and you child is able to recreate the loving family they have. 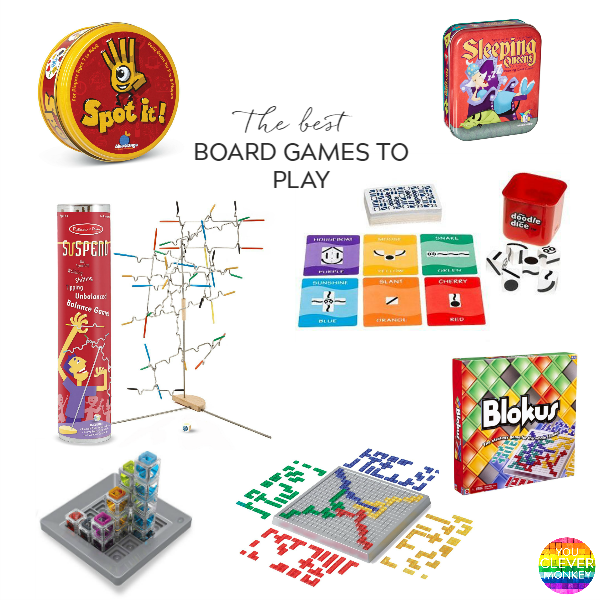 Alright board games are not an open-ended toy nor are they a gift any of my three children would have requested as one of their Christmas presents (Pie Face being the except this year) but some games have provided us with hours and hours of play. Sleeping Queens - some great early maths in this card game with just enough luck needed children and adults can play together. Spot It - another compact game everyone can play. Great one for building visual discrimination. Blokus - good for school aged children as they have to manipulate the different shapes to fit. Suspend - one of our most popular games both at home and in the classroom. Sequence - another one better suited to school aged children but you can play as teams too. Doodle Dice - requires a mix of strategy and luck to win making it great for children of mixed ages. UNO Attack - not that there's anything wrong with the original UNO - we have that too, but the unpredictability of UNO Attack adds to the excitement of the game. Gravity Maze - can be played by one child or a few. Great game for building spatial awareness and reasoning skills during play. That doesn't mean you can't or shouldn't give your child the IT toy this Christmas if it's something they will use beyond the holiday season. You know your child better than anyone. That's why I bought these gifts for my own children even though they hadn't ask for them because I knew how much they would be played with. Many have also been a hit in my classroom whenever I take them into school with me.